The precarious fate of one of the planet's most recognizable creatures has just become even more uncertain. As years of extensive surveys have proven fruitless in finding any sign of Sumatran rhinoceros in the forests of Malaysia, officials made the sad declaration this week that the iconic animal has likely gone extinct in the wild there. All that's left of the critically endangered species, whose native range once extended across southeast Asia, are less than 100 individuals scattered in isolated groups across Indonesia. 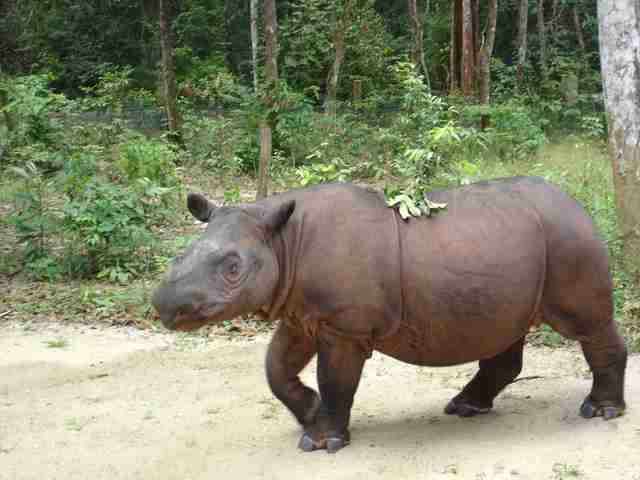 "We are facing the prospect of our Sumatran rhinos going extinct in our lifetime," said Malaysia's Environment Minister, Masidi Manjun, as quoted by Mongabay. 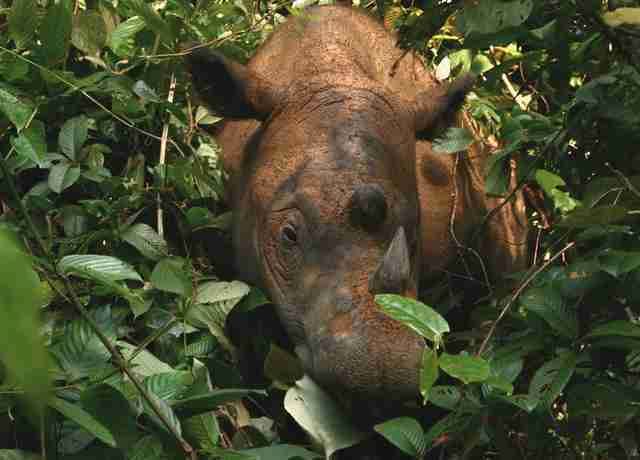 The decline of Sumatran rhinos in Malaysia and elsewhere, as with many other endangered species like them, has been spurred primarily by human causes. For decades, the species has been the target of widespread poaching due to demand for their prized horns. That, coupled with the rampant deforestation fragmenting their dwindling habitat, has caused the species' numbers tofall from around 500 in 1980 to the few dozen alive today. But while their future looks bleak, not all hope is lost. 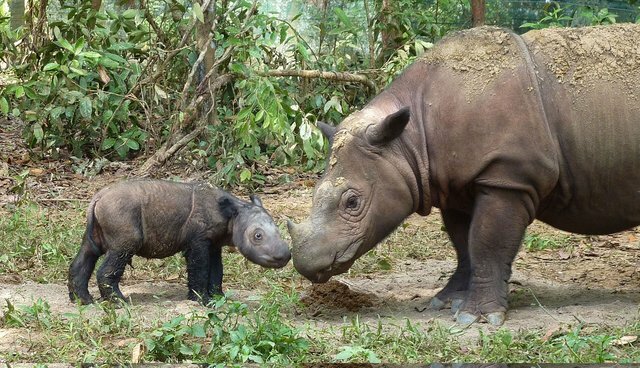 Conservationists are urging that Indonesia take note of the extinction of Sumatran rhinos in Malaysia to bolster their own efforts to save those few remaining individuals. A captive breeding program there has had some success, though unless swift action is taken to protect the existing wild population from ongoing threats, the species' looming extinction may be impossible to stave off. To find out how to help support conservation efforts, visit Save the Rhino International.